Today we speak to horticulture (and now solar) producer, Sam Albanese and to Mark Yates, of Yates Electrical Services and the Redmud Green Energy Project. We are so grateful for the extremely practical insight they have given us into the set up and integration of solar into a core farming business. Sam, tell us about you and where you are based? My name is Sam Albanese and my brother and I trade as Albanese Brothers. We originally took over the family property together at Pike River on the South Australian and Victorian border. Since then we have expanded in other properties. We have approximately 65ha’s of vines and 25ha of citrus, which is predominately mandarins. My wife and I have two children. Our oldest, Isabella, lives in Brisbane and works for Nova Radio. Our son is a doctor at the Royal Adelaide Hospital. My brother has two daughters, both of whom are school teachers. Our core business is wine grapes supplied into the CCW Co-op who have a contract with Accolade Wines. CCW Co-Operative Limited is the largest grape supply company in Australia and has almost 600 grapegrower members. We currently have two solar farms that are integrated into our horticulture business. The first solar farm is at our Renmark property was set up at the beginning of 2016 and is just over an acre in size. We use the power through our irrigation pump and return the rest to the grid. Our second one has gone in at our main property at the start of 2018. We received assistance through 3IP, which is the South Australian Industry Improvement Program, to set it up. An amount of our water was sold to the Federal Government and we then used the funding for infrastructure/solar farm. There has been good experience with state government support of solar into the riverland. This is also just over an acre and has 800 panels (212KW). Why did you introduce solar onto your property? Horticulture is what we know and it is what we are passionate about. However, we got speaking to Mark Yates who suggested we start thinking about solar. It was something we had never considered before as there were not many people around to ask about the technology. 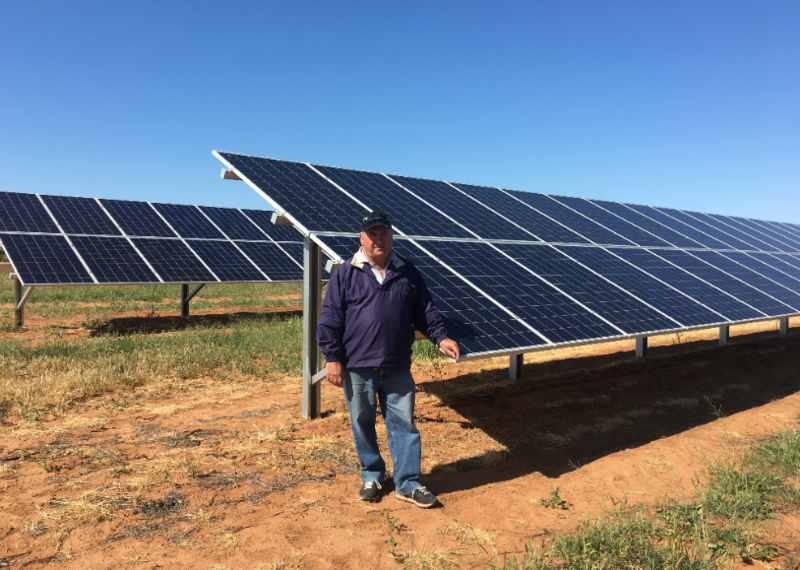 Mark took us to look at a solar farm he was putting up in Renmark and we learnt more about what solar farming would entail. We didn’t fully jump on the opportunity until a small area of wine grapes that produced a specific variety was no longer wanted by the winery and was taken off our contract. In addition, this area of land was already under-performing, so we removed the vines, and rather than replanting with vines or a horticulture crop, we ‘planted’ 187.2KW of energy. The second reason was that the power bill from our small pump irrigated from Renmark Irrigation Trust just kept going higher and higher. As we were a small user we didn’t have much power to negotiate. Thus, generating power through the solar farm to run past this pump (and pass the rest back to the grid) was a huge opportunity for us. We continued to expand by introducing a solar farm on the home block because there was another variety of grapes no longer desired by the winery and because of the success we had had with the first foray into solar. At the moment all the power generating here goes back to the grid. We hope to one day sell the power generated from the solar farm back to Mark Yates enterprise and then buy back for our main pumps at a significantly less rate than current retail. Mark, how are you involved in all of this? 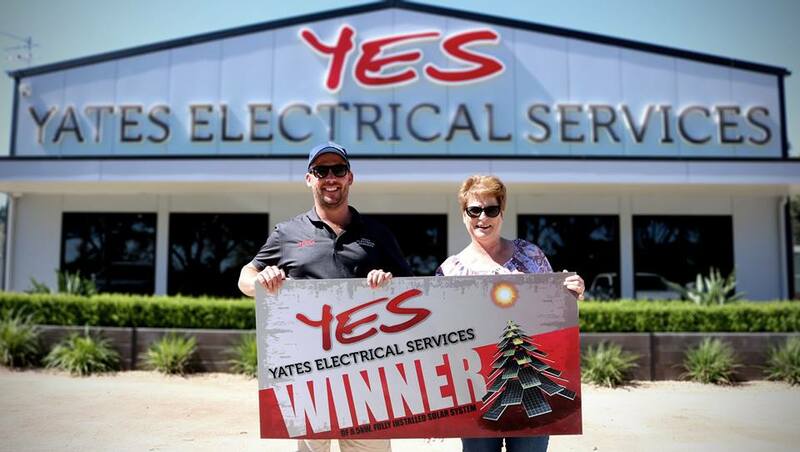 My name is Mark Yates and I’m the owner of Yates Electrical, which has been trading for 14 years and employs about 50 people in the region. I have a lot of experience in larger scale utility projects and our core business is substations for larger projects. After wanting to spend a little more time at home, I started developing options for small-scale projects int eh Riverland. 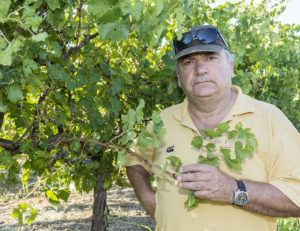 During the drought, a number of local Riverland farmers sold off their water entitlements as it was no longer economically viable in viticulture and citrus, this resulted in a lot of vacant farming land in the Riverland without the appropriate water entitlements to effectively farm using traditional farming practices. I considered ways to help reactivate this space so I embarked on the Redmud Green Energy Project, which aimed to get real social proof of the benefit that solar farming could provide these growers. After analysing five years of AEMO data I had a rough forecast of expected returns to solar. We then built our first site and ran it for 12 months to get solid financial data on which to base our projections on and to show producers real numbers. We then went out to a range of different farmers running different businesses – grape growers, almonds, oranges etc. Sam, as he mentioned above, was a little reluctant to start with, which I completely understand. The market is relatively new, can appear complex and a significant amount of start-up capital is required. So, we entered a joint venture with Sam on the first solar farm. This skin in the game gave him confidence and comfort. He now has gone to build a second farm on his own as his understanding of the revenue stream and return on investment is strong. Mark, is it difficult to get started in solar? Common sites are just over 1 acre and in South Australia, two criteria have to be fulfilled to get to shovel ready stage. This is Council Development Approval and SA power networks approval. As councils do not have criteria written into their development plans, approval is per site and merit based. This planning and approval stage may cost approximately $5,000. Sam, what have been the major successes with the diversified business? Solar is the way of the future, there’s no doubt about that. 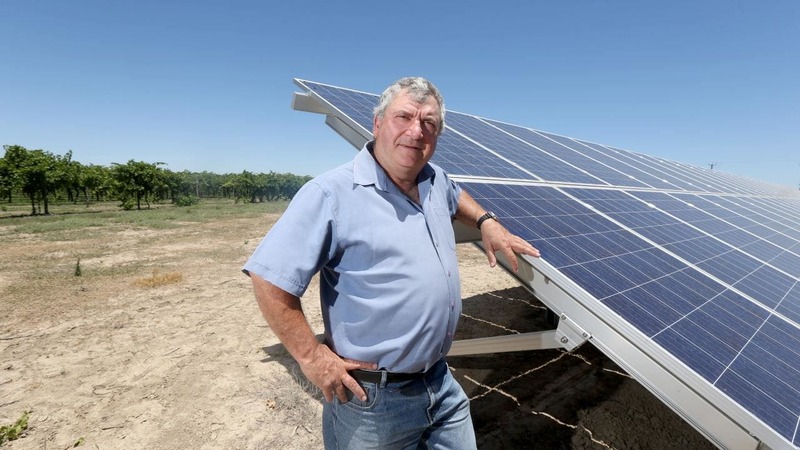 Our power bills on the first solar farm at Renmark have reduced by 75%. It has been running for approximately 2 and a half years and we have had a 16-18% return on investment. We were earning roughly earning $1,500 – $2,000 as an average on that 1.25acre block when there were grapes there. We earn approximately 10x that now with little work effort. A key success is that it does not interrupt or take time away from our core horticulture business. Our job is minimal and is basically restricted to spraying weeds. The management and everything else is done remotely by Mark’s team. The sun turns up and goes down at night, I don’t have to do anything. I can concentrate on my citrus and wine, which I love and know how to do. I’m an expert on citrus and wine and Mark is an expert on solar. We have essentially tapped into his business model and he has tapped into mine. The future also looks very bright. Both the solar farms we have installed have containers with inverters which allow for battery technology to be applied when the technology is available and at the right price. When this happens we may look at the business model a bit differently as we maybe able to store the power in the batteries when the price is low and sell back into the grid during the night. The feedback has been 100% positive. 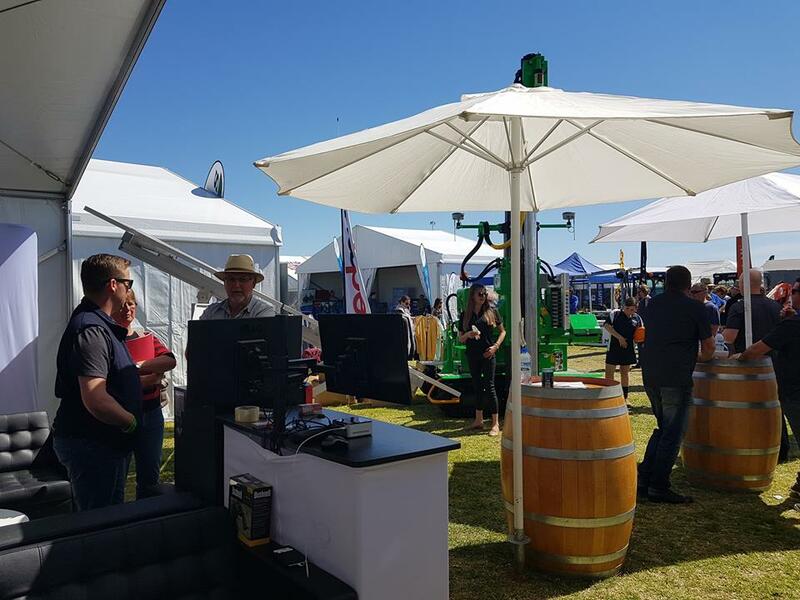 At a local field day, most of our clients dropped in to see us with great feedback. Our estimated return of 10% has now proved conservative as the feedback has been between 14% and 18% return on investment. Producer satisfaction also comes from that it is so simple from their end, as we manage the initial development all the way through to renumeration. The producer can set and forget so they can focus on what they do and their core business. Sam, what have been the major challenges in setting up and running the business? Getting good advice and all the information you require is key to beginning, but actually deciding to give it a crack was the biggest hurdle. Getting started was the biggest challenge. Just making the decision to do it and taking that first step. Also, starting out is a big financial step. 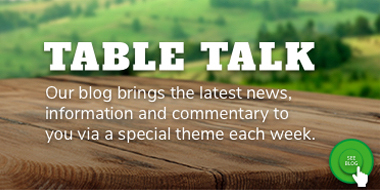 Sam, do you have any advice for others looking into diversifying their farm business? I truly believe it is a viable option for all landholders to look at, especially if the solar farm is where the producer can use the power generated before it goes into the grid, with the remainder then selling into the grid. 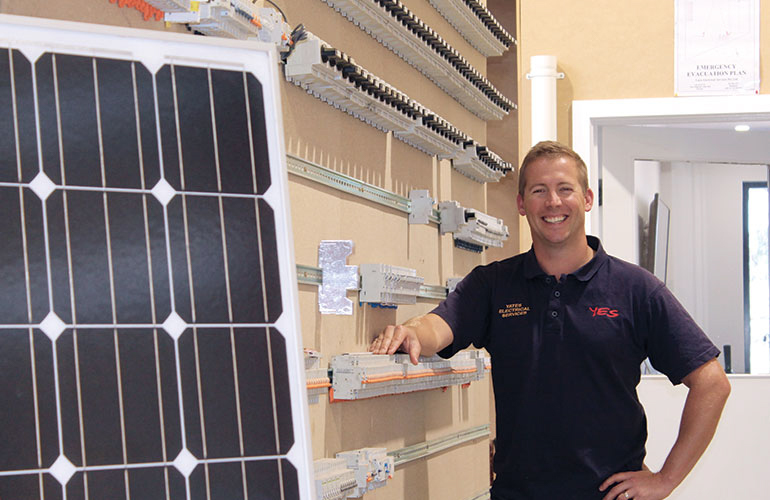 Mark, what is next for solar farming? Currently, farms are set up to export to the spot market (wholesale market) where the price is settled every 30 minutes by the big generators. So, we are essentially price takers. However, as Sam mentioned, all sites have the ability to add batteries. We are currently building a 20ft container battery which will enable us to act on market price signals. When the price is high we will discharge into the grid. When the price is neutral we will store the energy. And when there is a negative price we will be paid to store it. This isn’t far away as our battery will be operating within 6 weeks. We want to do our own due diligence (as we did with our first solar farm) iron out any bugs, optimise and be very clear on price before offering to our producers. The future of energy will come from distributed energy resources. 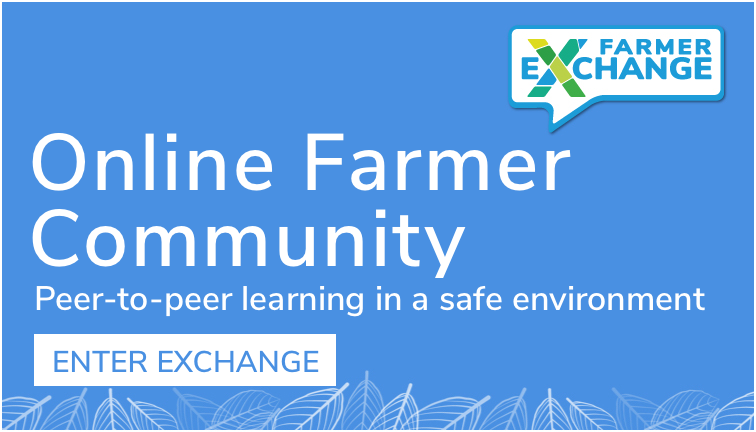 Smaller farms and smaller batteries are taking over from large-scale centralised generators. This market trend away from centralised power provides a huge opportunity for landholders across the country. Thank you so much Sam and Mark. Where can people find you if they want to learn more? Mark: We operate anywhere in South Australia. 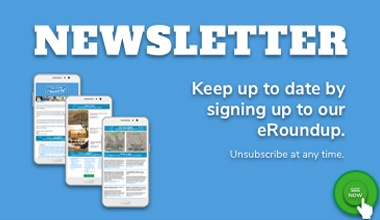 See all our sites at www.redmud.net.au. Stay tuned for the next case study in our series!